This week’s theme is a Thanksgiving freebie, so I’m talking about the top ten authors I’m thankful for. Libba Bray is important to me for a lot of reasons. Her stories are complex and imaginative, never staying in the same genre. Her female characters ooze Girl Power. And her writing is hilarious. Maggie Stiefvater is the author who convinced me that lyrical writing does not have to get in the way of storytelling. Her stories have amazing world building with sutble fantasy elements and slow burn romances that give me all the feels. Brandon Sanderson is the author who convinced me that incredibly complex world building can make a series more dramatic, instead of weighing it down, and that plot twists can be genuinely shocking. 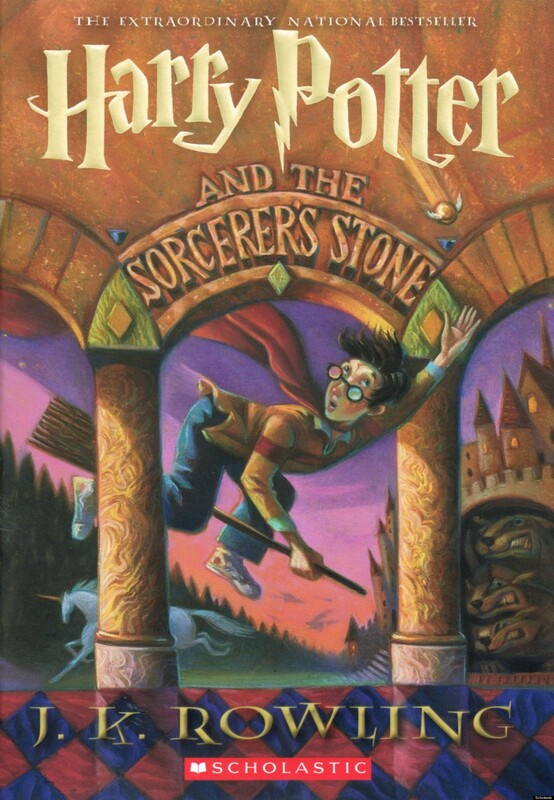 Though I am not the biggest Harry Potter nerd out there, I am thankful for those books. They inspired my love of reading and were the basis of some of my closest friendships. Anna and the French Kiss was one of the first contemporary romance books that I read that genuinely impressed me. Up until then, I had enjoyed the genre without expecting much from it, but Stephanie Perkins convinced me that the stories could have substance and emotional impact in ways that I hadn’t expected. If Stephanie Perkins convinced me to expect a lot from contemporary romance, it was Morgan Matson that met those expectations. SYBG was one of the first books I read where I deeply empathized with the main character, and TUE has a hilariously unique love interest. Elizabeth Wein is the author who convinced me of the heartbreaking qualities of historical fiction. Code Name Verity blew me away in a way that no other book has since, and Black Dove White Raven put my soul back together with an adorable story about friendship (and then shattered it again). If you are looking for deeply moving historical fiction with amazing friendship (and no romance! ), you need to read her books. Graceling was one of the first YA books that I ever read. It sucked me into the YA fantasy genre, and I’ve never looked back. Even now, her stories are some of my favorites to reread, with their gorgeous world building and heart-wrenching romances. 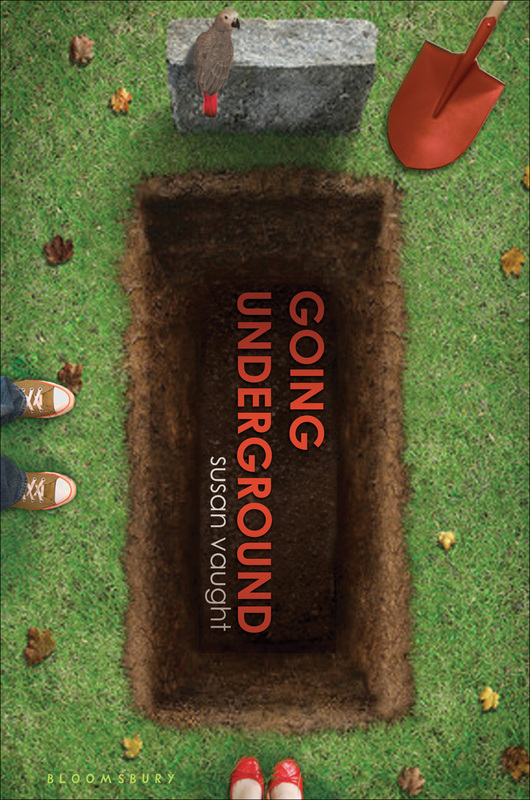 Going Underground was one of the first books that ever changed the way I saw the world. When I read it, I hadn’t even heard of the problem the book addressed (I’m purposefully being vague so I won’t ruin the surprise), but its message has stayed with me to today. Finally, Megan Whalen Turner is the author that convinced me that slow, carefully written books with hidden meanings are my favorite. Her stories do not race from start to finish, but if you give them a chance, they will blow you away. Which authors are you thankful for? Have you read any of these books? Do you have any recommendations? Thanks 🙂 I like Fire best of the three books, though Graceling is a close second. The Thief is MY LOVE–I hope you like it! I love the synopsis for fire it sounds like it’s going to be good! I’ll be sure to check out the thief soon! I finished my first read by Maggie Stiefvater – The Raven Boys – yesterday, and I have high hopes for the rest of the series. Morgan Matson is absolutely amazing, and I have no idea how I’ll wait another six months or so until her next release! One of these days I am going to read Scorpio Races! Thanks for the recommendation. Some wonderful authors on here – great idea for your list. Yay 🙂 Who are some of your other favorite authors? Yes! SJM is a favorite of mine too! Yay! I’m glad you liked the series! Brandon Sanderson is in a league of his own for world-building. It’s been almost a year and I’m still in awe, tbh. Have you read Elantris? It’s in the same vein as Mistborn and has the same incredible world-building and plot twists. Also, do you think you’ll read the sequel series for Mistborn? I know, I’m forever amazed at how imaginative he is and also how prolific – that man publishes more books in a year than I’ve ever seen anyone does and they’re still SO good. Elantris was actually my first read from him! I loved it too, but I think I actually like Mistborn a bit more – it’s great to have three books to completely immerse myself in. Yeah I have read all three books of the sequel series that are out. I really love the series, but it’s pretty different from the first trilogy. Less heartbreaking, more funny–if you’ve watched Firefly, it’s a lot like that. But the series still has that amazing Brandon Sanderson world building, and I think I like some of the characters more than I liked the original ones. It is kind of steampunk. Basically, he aged the world a few hundred years, so the world is in the middle of industrializing. And there is still Allomancy and Feruchemy, but because family lines have crossed, the powers have combined. The main character is a Twinborn, so he has one Allomantic power and one Feruchemy power, which is a really cool combo (and leads to awesome fight scenes). Yeah I put an entire year in between the series, I think. Doing all six at once would be crazy. Beyond Mistborn, I’ve read the first two Reckoners books and Elantris. I own more of his books, but they are GIANTS and I am intimidated. Oh. I’ve actually read the Rithmatist (a million years ago), but I don’t count it because I hated it. I read it before I knew who Brandon Sanderson was though, so idk if I would appreciate it more now. I hope you like it, though! Loved the world building but didn’t like the writing (it felt stilted). Haruki Murakami for me! He has introduced me to a complete new world of books!! I haven’t read any of his books, but they look fascinating! Yes! they are. I only have 3 more to go to finish reading all his work. I have some reviews on my blog. Have a look! Happy Reading! Loved this list! I think I will always think of you whenever I see a Libba Bray book now, haha. I don’t know why, I just feel like you’re always recommending her books. And omg, every time you talk about The Thief I run away because I haven’t read it yet. I MUST. Maybe I should make a pact with you that I’ll have it read by the end of the year – maybe I’ll read it next. Your great opinion of it was the reason I got it so I can’t believe I just haven’t picked it up yet, gah! Haha yeah I recommend Libba Bray A LOT. But her stories have been really important to me, so I can’t shut up about them. (lol) Have you read any of her books? I gave! I’ve read A a Great and Terrible Beauty and loved it! I’m currently listening to The Diviners on audiobook but not making much progress. Hahah I love how you immediately say that 😂😂 I will be messaging you as soon as I pick it up! Maggie Stiefvater and, of course, JK Rowling for sure! I’ve only read the Wolves of Mercy Falls but I hear the Raven Boys is awesome. When it comes to autobiographical pieces I’m a huge fan of Mindy Khaling. Love her humor, and it translates so well to paper. Great list, and nice blog too. You HAVE to read The Raven Cycle!!! And Scorpio Races! Maggie Stiefvater’s stories are incredible. Ironically, the only books of hers I haven’t read are the Wolves of Mercy Falls books. I’ve never read anything by Mindy Khaling, but I can imagine it would be hilarious. A very good list, Brandon Sanderson and his lectures have helped improve my writing. JK Rowling is a childhood favourite of mine, and will be forever close to my heart. Kristin Cashore and her books are some of the first books I read when I got back into reading, really good. Thank you! I’m glad you liked the list! It’s about time for me to reread Cashore’s books too!